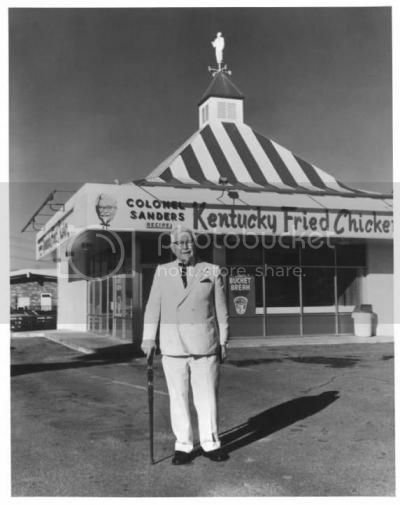 Colonel Sanders: The Man Behind KFC’s Finger-lickin’ Good Fried Chicken! When we talk about finger-lickin’ good fried chicken, there is only one thing that comes to mind: Kentucky Fried Chicken, more popularly known as KFC. Now, have you ever wondered who that old bearded man with glasses you always see in KFC stores is? That man is no other than Colonel Harland Sanders, founder of KFC. 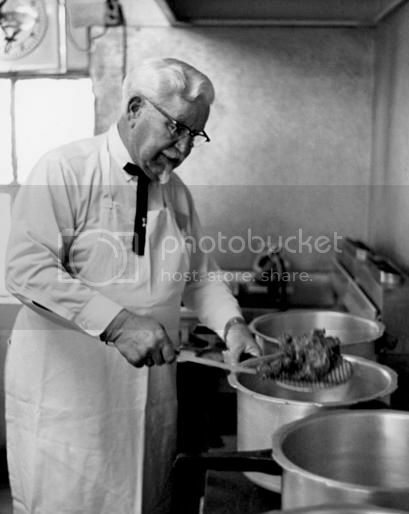 Colonel Sanders was born in a little farm in Indiana. He belonged to a poor family. He was six years old when his father died, and this forced his mother to work for the neighbors to support her family. Sanders being the eldest child had to take care of his two younger siblings while their mother worked. This was where he learned how to cook and when he discovered his passion for good food. 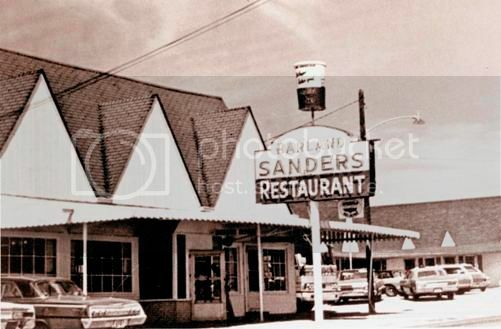 As Sanders’ restaurant became popular and his store capacity grew, he worked really hard to give his customers the best-tasting fried chicken. He experimented with several pressure cookers through trial and error to determine the right amount of temperature and the exact mix of the perfect seasoning to improve his recipe. That’s when he came up with the perfect mix of 11 herbs and spices which made him and his Original Recipe chicken world-famous. This popular recipe, which Colonel Sanders developed in 1940, is still being used in all KFC stores and remains to be one of the top secret recipes in the food business. A patient and hardworking man who was passionate about his work, Colonel Sanders has left a legacy known worldwide and continues to make his presence felt in all KFC stores through his finger-lickin’ good food. This entry was posted in Colonel Harland Sanders, Kentucky Fried Chicken, KFC. Bookmark the permalink. 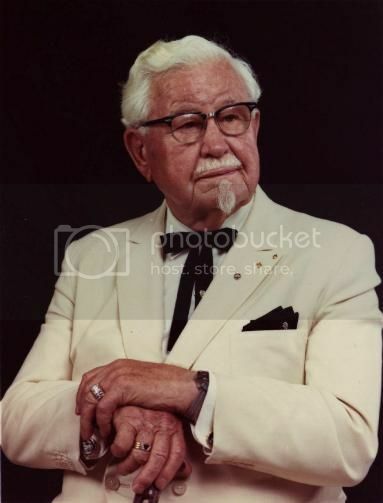 3 Responses to Colonel Sanders: The Man Behind KFC’s Finger-lickin’ Good Fried Chicken!